Categories: Members CBGCB and MICE news. 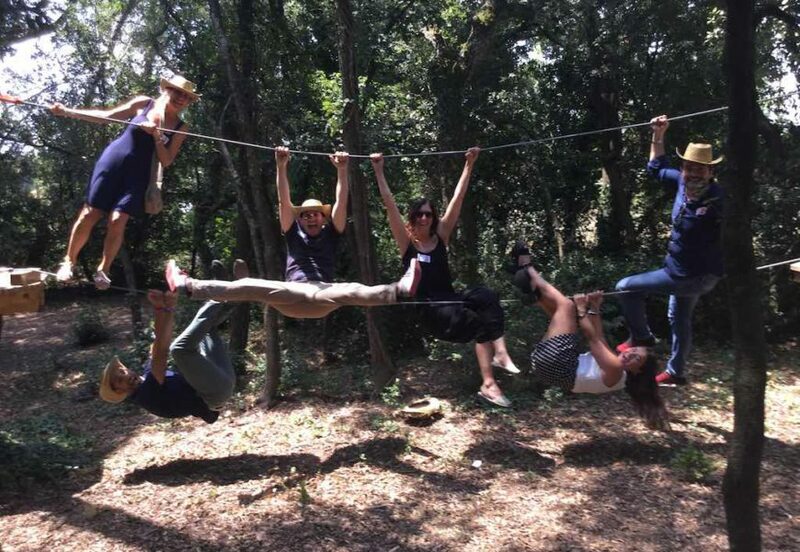 Hotel Camiral & PGA Catalunya Resort, in Caldes de Malavella, invited a group of agencies and professionals from the business tourism sector to discover their range of options through a dynamic participatory event created by Humanside Experiences. Organised in five groups, the attendees had the chance to try out the complex’s installations by taking part in a series of group activities that led them to explore the golf course, restaurant facilities, hotel lounges, gardens and outdoor areas. The Costa Brava Girona Convention Bureau was also present, along with some of its members, including Dragon Boat Emotions and Fil Mediterranean Travel Designers.